We made the news! Skip ahead to 6:38 to see the first people in the water this year! This entry was posted in In the News on 2014-05-12 by Lethbridge Rotary Dragon Boat Festival. 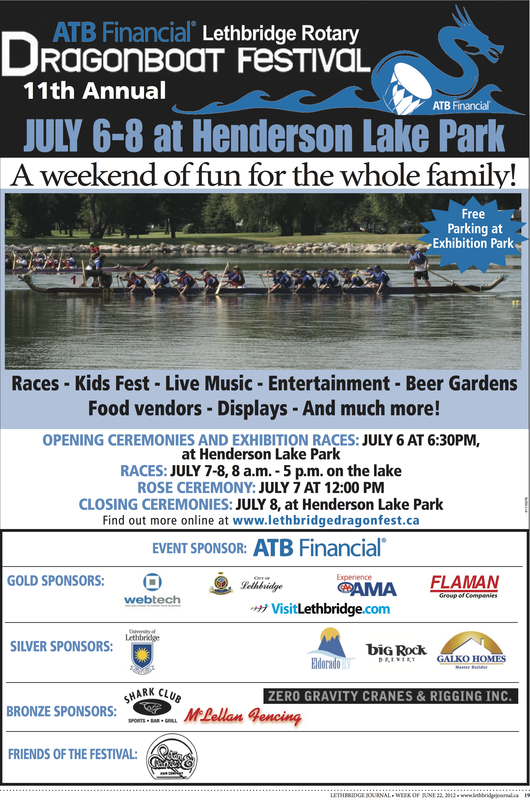 This entry was posted in In the News on 2013-07-05 by Lethbridge Rotary Dragon Boat Festival. This entry was posted in In the News on 2012-07-10 by Lethbridge Rotary Dragon Boat Festival. 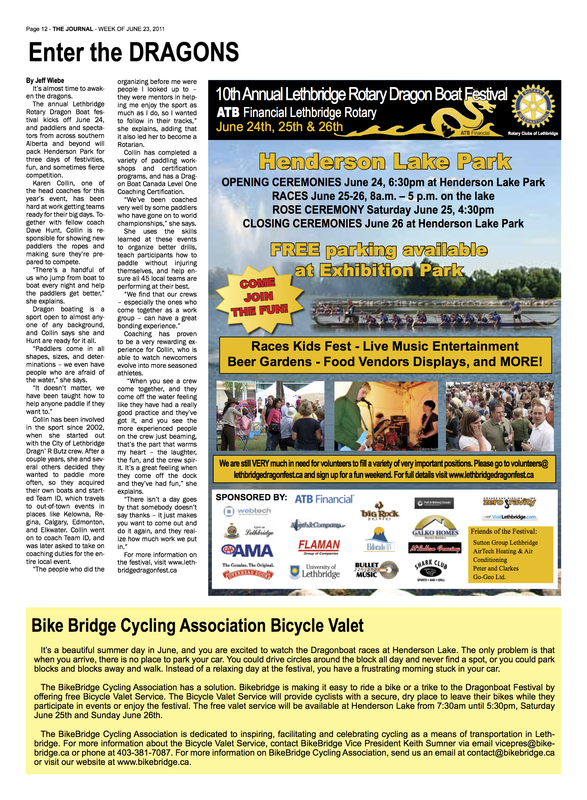 This entry was posted in In the News on 2012-06-22 by Lethbridge Rotary Dragon Boat Festival. This entry was posted in In the News on 2011-07-08 by Lethbridge Rotary Dragon Boat Festival. This entry was posted in In the News on 2011-06-23 by Lethbridge Rotary Dragon Boat Festival. This entry was posted in In the News on 2011-06-22 by Lethbridge Rotary Dragon Boat Festival.